If you run into an issue, you should be able to get a hold of someone at anytime of the day to have it fixed. The longer you are having an issue, the more risk your website is at. You don't have to worry about a thing when you are cooperating with Webxloo. We provide technical customer support and consulting services. For your utmost satisfaction Webxloo is placed to cover all areas with productive processes and capabilities. All teams of developers, mobile consultants, designers and project managers are immensely skilled. Clients can get our people work on any demand or challenge put up. For us, cost effectiveness doesn't mean making compromises on quality and functionality. Webxloo offers numerous benefits in leveraging company business. By clicking on “Request Consultation”, you can use it to get answers to all the questions. 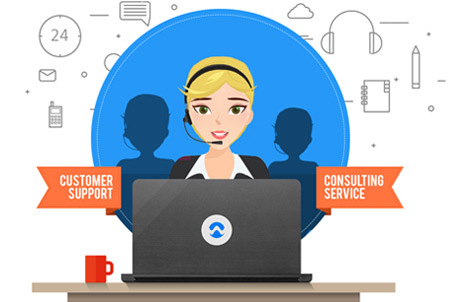 Live chat is operated to provide customers with online consulting. We will suggest areas of improvement. We are fully committed to your success.